In the continuing debate on inequality, there are many who point to Thomas Piketty as a kind of secular prophet who can offer words of wisdom. The French economist certainly has plenty of words that can be found in his worldwide bestseller, a weighty 700-page work called Capital in the Twenty-First Century. 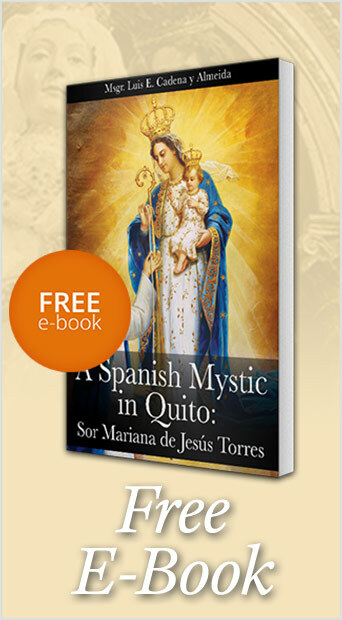 Whether these words contain wisdom is another matter. 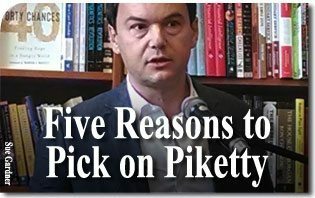 However, for those on the left, Piketty’s arrival on the scene represents a searing indictment of modern economy and a life raft to liberal thinkers bereft of original ideas. Rave reviews call the work the most important economic book of the decade. They point to his painstaking research and numerous charts as proof positive that something must be done now to equalize wealth lest the old days of “patrimonial capitalism” return. Once one sorts through all the hype, it does not take long to perceive there are plenty of problems with Piketty. There are many reasons to take off the kid gloves and start picking on Piketty. The first one is that he uses taxes as a weapon and not as a source of revenue for government. Piketty proposes an 80-percent tax on incomes over $500,000 solely as a punitive measure. He acknowledges that it “would not bring government much in the way of revenue” but would tend to put an end to such incomes and their accompanying estates. He also affirms (without any real proofs) that this policy would not discourage entrepreneurs. It would not reduce growth but rather more widely distribute the fruits of growth. Piketty follows the dangerous path of economic policy based not on prosperity but ideology. The second reason is related to the first. Realizing that taxing the super-rich will not raise significant revenue, Piketty aims at those less rich – those making more than $200,000. Hit this much larger pool of taxpayers with a tax rate of 50-60 percent and he sees significant income streaming into the public coffers. Such revenues, of course, will be channeled into the trillions now spent so as to further develop what he calls “the meager U.S. social state and invest more in health and education.” To him, big government needs to get bigger. The third reason to pick on Piketty is his attitude toward property and its legitimate use to sustain oneself. He views any rent, royalty or dividend as “undue and unjustifiable income.” The only legitimate income is that for which one works directly. He says that “rent is the enemy of modern rationality and must be eliminated root and branch by striving for ever purer and more perfect competition.” He rejects this form of income even though he acknowledges the fact that a huge number of people (both rich and poor) rely upon it. The fourth reason is that he rejects any moral considerations about economy. Echoing the statement of Pierre-Joseph Proudhon who claimed “property is theft,” he moderates his condemnation by saying that all property probably involves some theft. Piketty claims any discussion about the just acquisition of wealth establishes “a futile debate about the moral hierarchy of wealth.” Since both outright theft and absolute merit are rare, it is better to avoid the messy moral issues altogether and impose upon everyone a consistent and progressive tax on capital that will expose “large fortunes to democratic control.” Robin Hood could not have said it better. Finally, Piketty does not practice what he preaches. He claims he is an economist that respects and incorporates the social sciences into his conclusions. He even uses the inexactitude of the social sciences as an explanation of why his figures and conclusions are “by nature tenuous and deserve to be questioned and debated.” However, his central thesis that capital will tend to concentrate to a very high degree in the coming years is affirmed so categorically that it appears neither questionable nor debatable. In Piketty’s ideal world, the uncertainties of history are conveniently ignored and the social sciences made to conform to his thesis. There are other reasons to pick on Piketty but these should suffice. While the media raves about Piketty as if he was the greatest thing since sliced bread, they forget that it is nothing more than stale bread. Like all ideas emanating from the left, his are but reformations of old errors.